One of the first decisions I made having qualified as a therapist was to have a high ranking website. By the time I went into full time practice, the general public was rapidly moving away from hard copy sources of information. 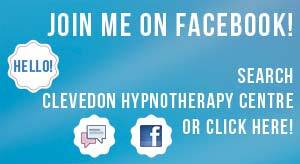 If someone was looking for a local hypnotherapist, they would Google relevant key words and find my website rather than looking in a phone book or local business directory. The website became the first point of contact and helped establish rapport as well as providing a lot of specific information. The website has developed and evolved, but in addition to maintaining relevance and ranking social media have also become essential aspects of how I present myself to the public, friends and clients. A website alone is essential but no longer enough. The weekly blog on the website dovetails into a Facebook post that carries over to a Twitter microblog. It’s all about keeping up and staying relevant in an age where a prospective client will know you well before you’ve met them.